Donna is once again nominated for SPBGMA Songwriter of the Year!! Congratulations to Donna for once again being nominated for the SPBGMA Songwriter of the Year Award. She won the award in 2018. 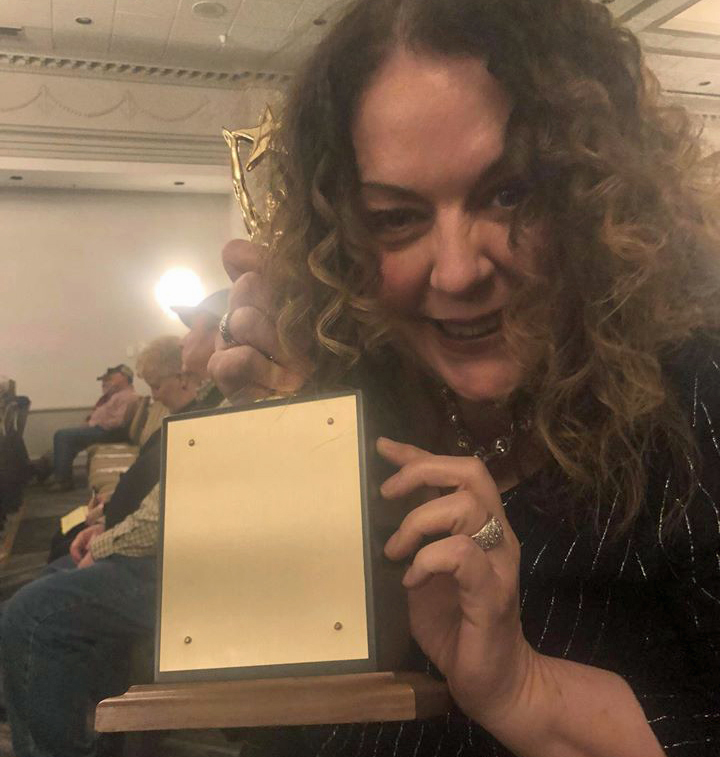 This year she is nominated with several talented and respected writers: Larry Cordle, Louisa Branscomb, Daryl Mosely, Barney Rogers and Becky Buller. 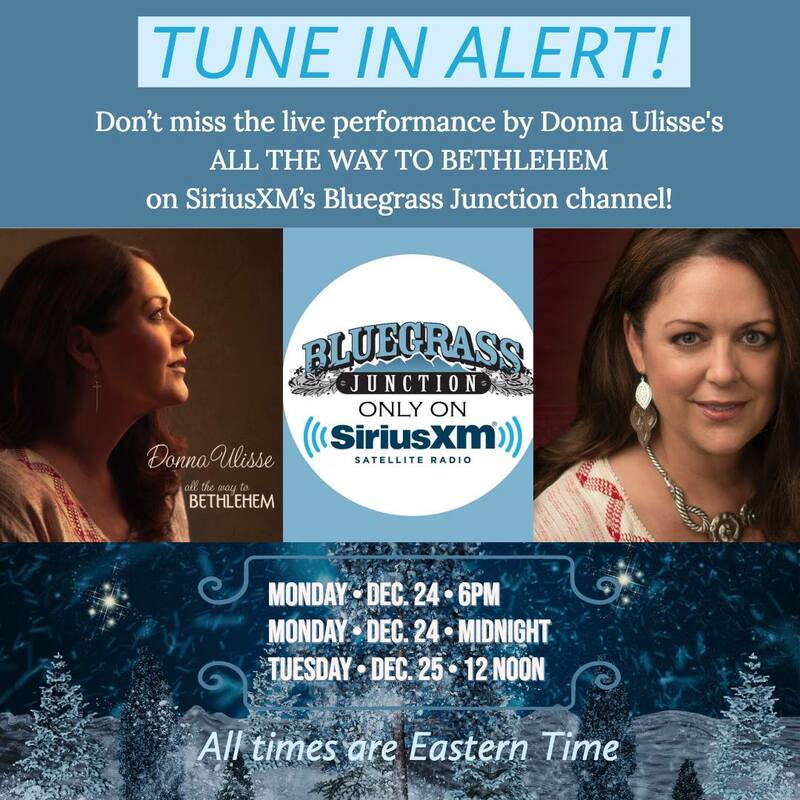 SiriusXM’s Bluegrass Junction features Donna’s live performance of All The Way to Bethlehem again in 2018! 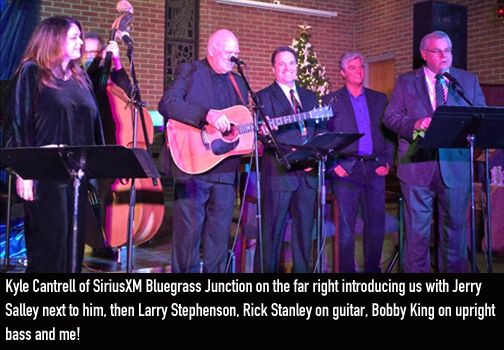 Once again this year, SiriusXM’s Bluegrass Junction chose to feature Donna’s live performance of her landmark Christmas album All the Way to Bethlehem which was recorded at the request of Bluegrass Junction at Christ Lutheran Church in Nashville, Tennessee in 2017. 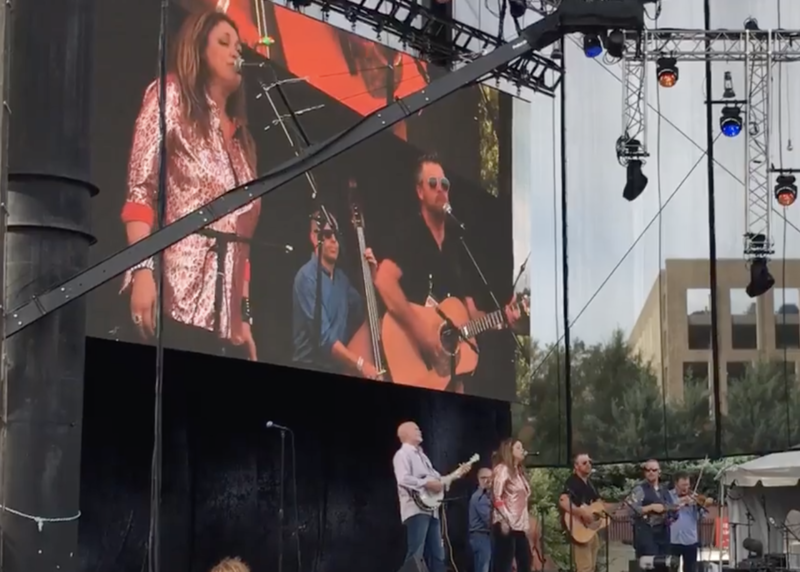 This performance was introduced by Kyle Cantrell and bluegrass artists Larry Stephenson and Jerry Salley read the scriptures that inspired the writing of each song. This is the show Donna takes on the road each December performing in churches and concert venues with local pastors often reading the scriptures. Donna takes Red Hat Stage at IBMA Wide Open Bluegrass! Donna was part of an all-star lineup that performed in Raleigh for a sold out crowd on September 28 and 29, 2018. She performed with her own band and also took the stage with Lonesome River Band (see photo on right) to perform the Don Williams hit “If I Needed You”. The performances were part of a segment of the show featuring artists who are part of the Mountain Home Records album Come See About Me which is a fundraiser for the IBMA Trust Fund. 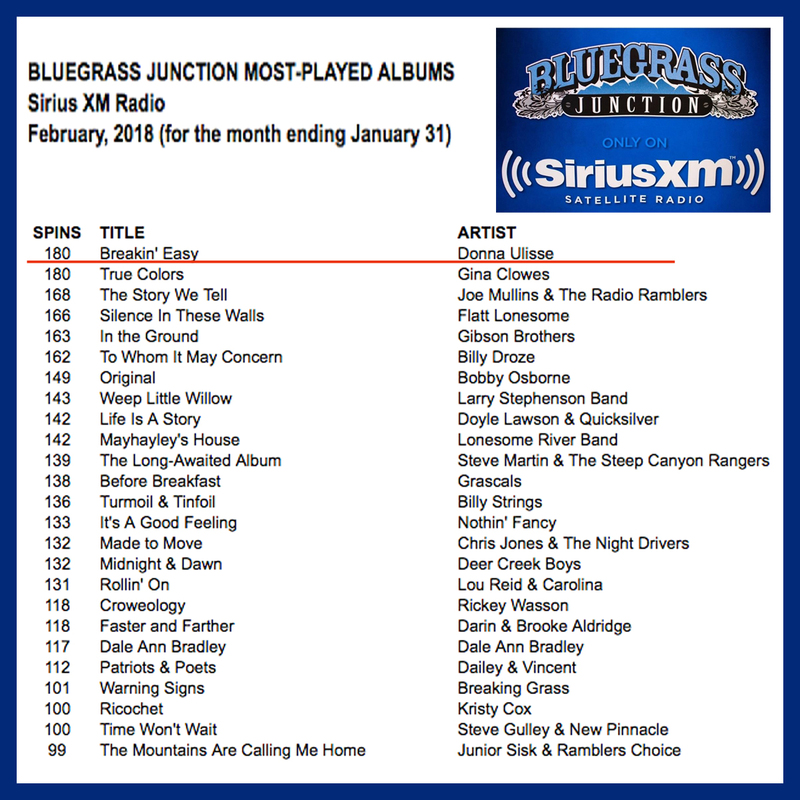 Breakin’ Easy is the most played album on SiriusXM’s Bluegrass Junction! 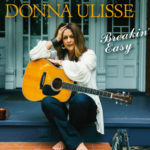 Donna’s current release Breakin’ Easy was the most played album in the month of January 2018 on SiriusXM’s Bluegrass Junction channel with 180 total spins! The focus has been on three singles: “Back Home Feelin’ Again”, “A Little Past Lonely” and currently they have begun playing “Without Trouble” in a regular rotation. A big thanks to all the fans who have requested Donna’s music on SiriusXM and especially to Kyle Cantrell who programs Bluegrass Junction. 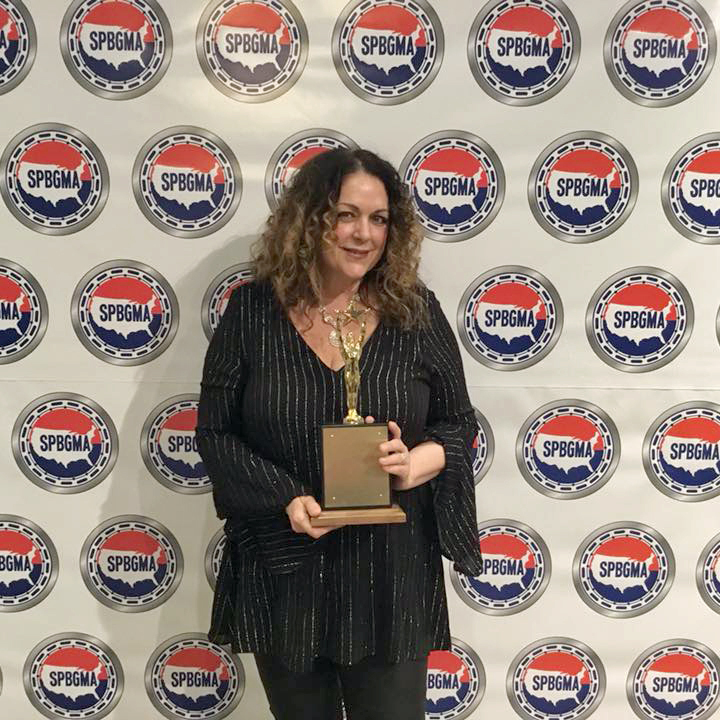 Donna wins SPBGMA Songwriter of the Year Award! The annual SPBGMA (Society for the Preservation of Bluegrass Music Association) held their 44TH annual Bluegrass Music Awards and 35th National Convention and Band Championship in Nashville on February 1 – 4, 2018. Donna was nominated for Songwriter of the Year along with some of her favorite songwriters: Larry Cordle, Milan Miller, Eric Gibson, Daryl Mosley, & Wayne Taylor. The award was presented at the Sheraton Music City where the event is held each year. Winning the award was a complete surprise for Donna but she graciously accepted it, talking about how she wrote her first song at age five and has been working at this dream from the time she was a young girl. The award was presented by Larry Stephenson and his wife Dreama Belcher Stephenson who happen to be close friends of Donna, making the award even more special. Larry was honored on the same night being inducted into the SPBGMA Hall of Greats. Donna has feature story in Country Music People Magazine! British journalist Kelly Gregory recently contacted Donna from “across the pond” for an interview to be part of an impressive three page spread about Donna and her current album Breakin’ Easy. 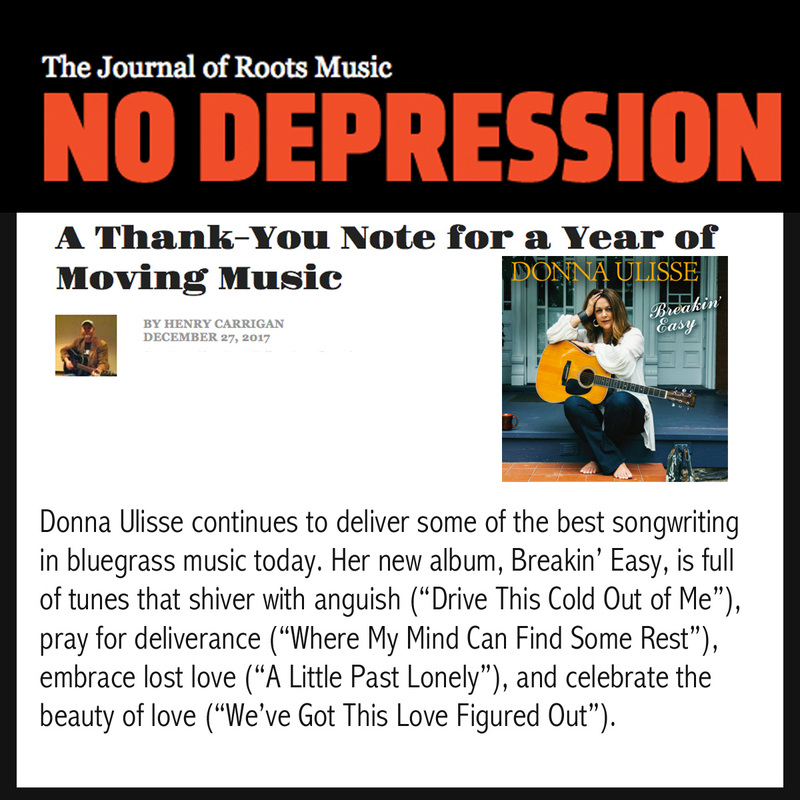 The interview covered Donna’s days on Atlantic Records and how she ended up stepping into the bluegrass music world through her songwriting and marriage to Rick Stanley, cousin to bluegrass legend Ralph Stanley. She also shared what it was like going into the studio for the first time with Doyle Lawson when he produced her current release. 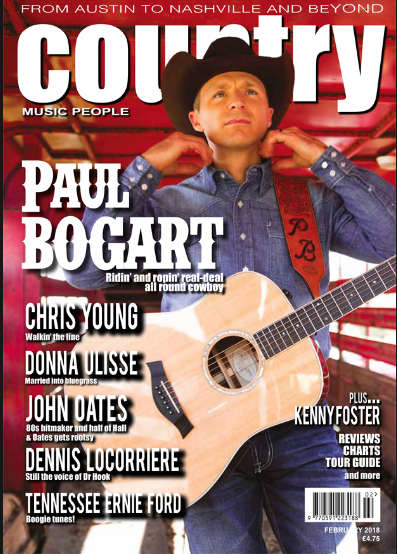 Country Music People is the leading country music magazine in the United Kingdom covering top country acts in the United States and Europe and the occasional bluegrass artist. Donna’s feature is in the upcoming February 2018 issue. 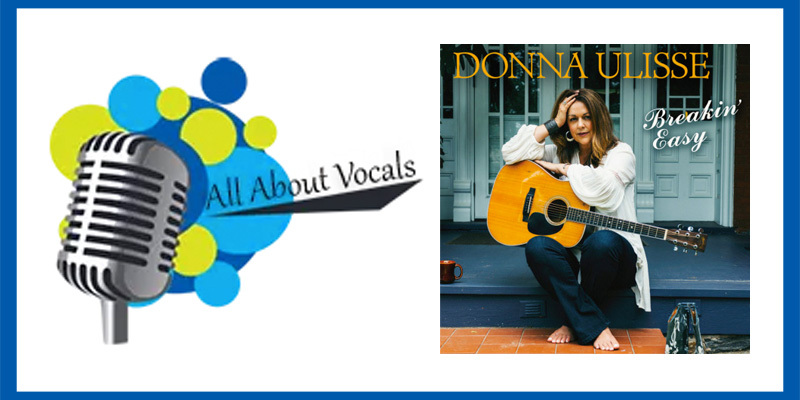 Here at All About Vocals we are obsessed with the human voice and the first thing you’re likely to notice when you listen to Donna Ulisse, whether live or on a recording, is her pure, natural, and authentic voice. Variously described as “rapturous and angelic,” strong, supple, warm, rich, companionable and crystalline. 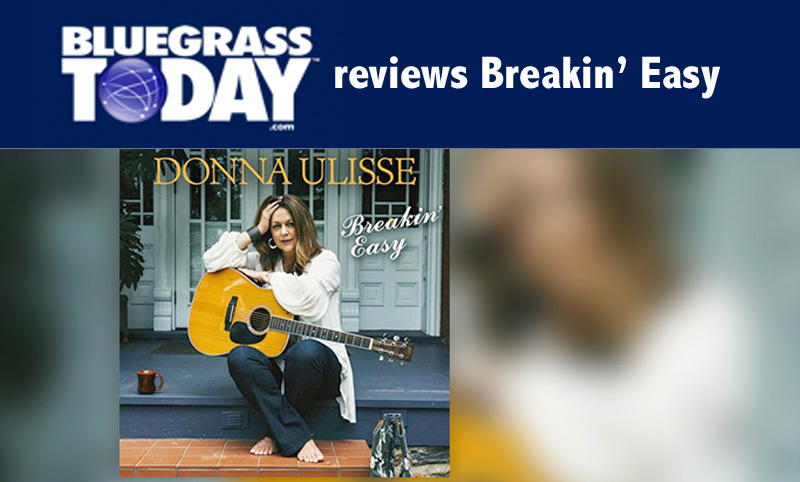 Ulisse (pronounced You-liss-ee) has been called “one of the best singer-songwriters in bluegrass.” Which leads us to her release of Breakin’ Easy. The album was produced by label-mate and Bluegrass Music Hall of Fame member, Doyle Lawson. Donna’s Breakin’ Easy included in a Top UK list! A heartfelt thanks to music writer Kelly Gregory in the UK for including Donna’s new album Breakin’ Easy on her Top Ten list for 2017 calling the album the best bluegrass album of 2017! 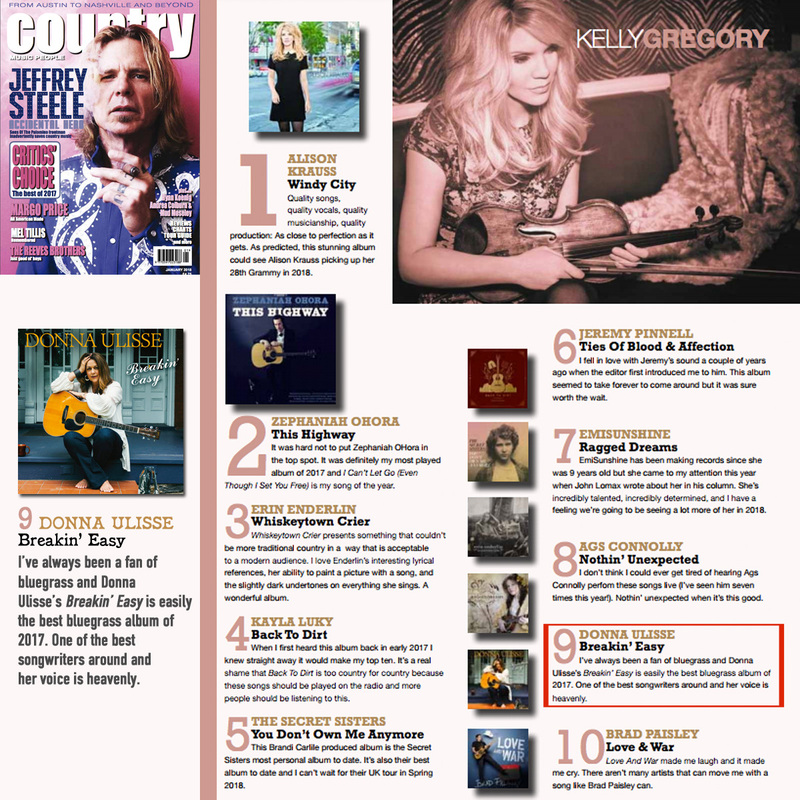 Kelly writes for the premier country music magazine in Europe, Country Music People. Country Music People is Europe’s number one country music magazine and is published monthly. It gives you the world of country music from Austin to Nashville and beyond. The magazine is a winner of the coveted CMA (US Country Music Academy) Wesley Rose International Achievement award for outstanding contributions to the promotion and development of country music internationally. For almost 50 years it has delivered the inside stories on country music’s hottest stars and in October 2011 celebrated its 500th issue. CMP gives you the world of country music: New Country, Roots, Honky Tonk, Americana, Traditional, Acoustic, Country-Rock, Old Time, Bluegrass, NashPop, Cowboy, Rockabilly, Western Swing, Singer-Songwriter, Alternative…The biggest stars, the hottest buzz, and the best music – Country Music People is the passionate fan’s all-access pass to everything country! 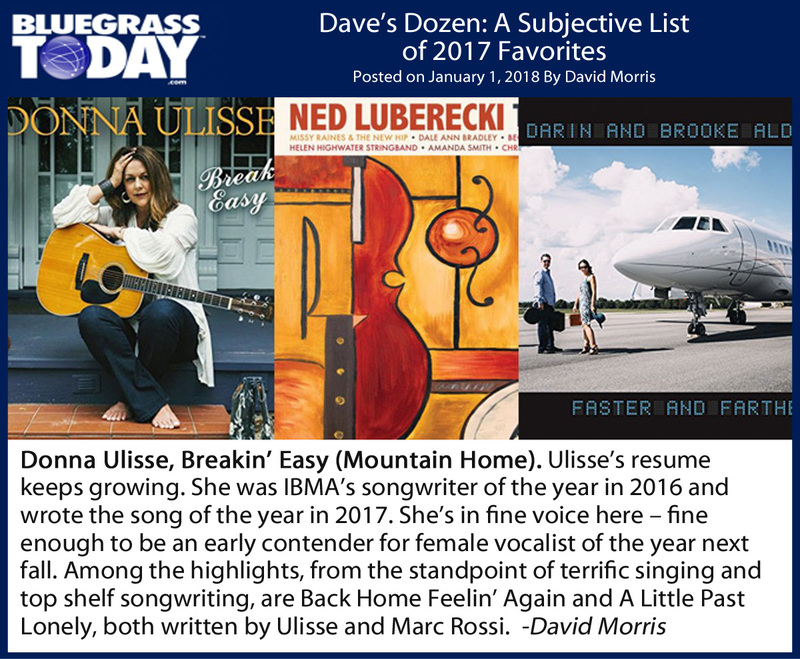 Breakin’ Easy makes Dave’s Dozen 2017 Favorites list on Bluegrass Today! Respected bluegrass music journalist David Morris compiled a list of his favorites for 2017. We were thrilled to see Donna’s album included in the list! He writes the following about the compilation and you can read about all of his choices here. It’s time for my annual compilation of favorite recordings of 2017. It is decidedly subjective, not necessarily the best overall, but what caught my ear and imagination. There’s just one caveat: I don’t include recordings that include songs or liner notes that I had a hand in writing. Anything else is eligible, provided it meets my admittedly broad definition of bluegrass. Henry Carrigan includes Breakin’ Easy on end of year No Depression list! Freelance journalist Henry Carrigan decided to compile a list of the ten CDs released in 2017 that had moved him in some way and that he had returned to and listened to over and over again. It was great to see Breakin’ Easy show up on that list! It was also wonderful to see the Rebekah Long CD Run Away on the list which Donna produced. See the full list here. SiriusXM airs live performance of Donna’s Christmas show! SiriusXM Bluegrass Junction’s program director and radio host Kyle Cantrell approached Donna about recording one of her Christmas performances of her landmark album All The Way to Bethlehem this year to broadcast over the Christmas holiday. 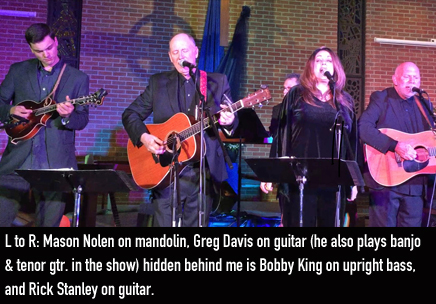 Donna immediately reached out to her good friends in the bluegrass world, Larry Stephenson and Jerry Salley, and asked them to read the scriptures for the show making it an extra special event. 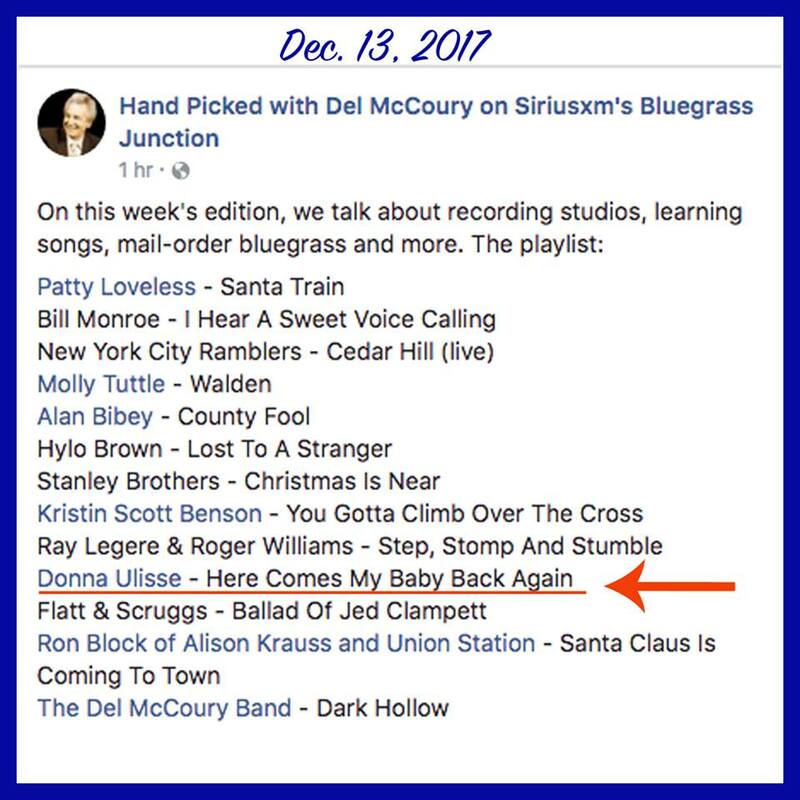 Bluegrass Junction has often featured the album during the holidays but the live show includes all of Donna’s very special narrative which brings the characters to life in a whole new way. The show aired four times from Dec. 23-25. Breakin’ Easy makes the CMT.com Top 17 for 2017 list! 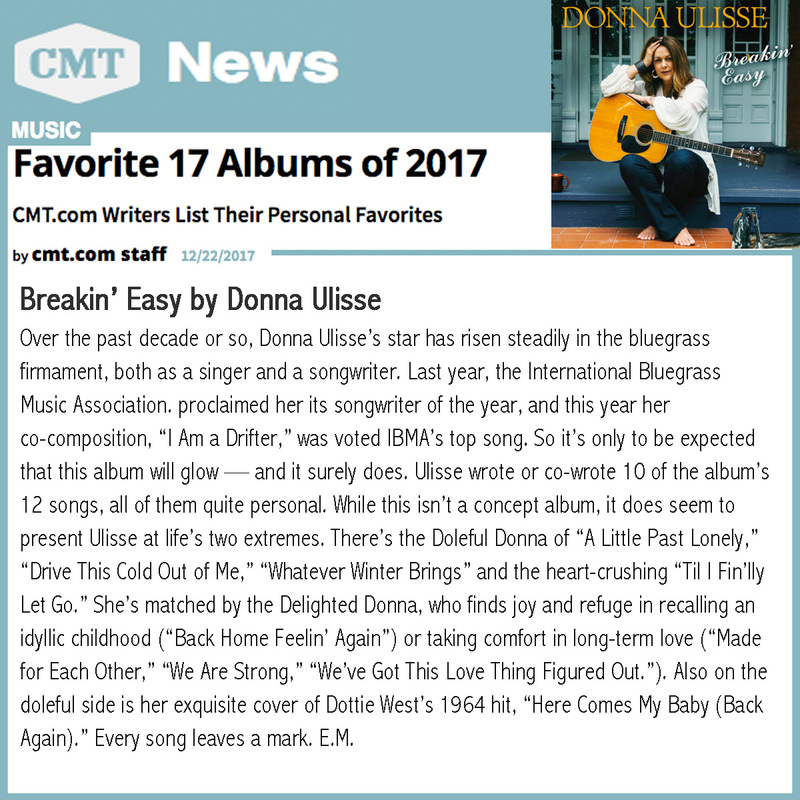 We were over the moon excited to see Donna’s album Breakin’ Easy on the end of the year list put together by the staff at CMT.com! She is in some pretty good company along with Chris Stapleton, Jason Isbell, Flatt Lonesome, The Grascals, Tim McGraw & Faith Hill to name a few. To read the full list click here. On a point of interest, the staff writer who chose Donna’s CD was Edward Morris who has been following and writing about Donna’s career since she was an artist on Atlantic Records in the early 1990’s and wrote a wonderful article about her in Billboard about her very first album release. A heartfelt thanks to Ed for continuing to write about Donna’s music! A Little Past Lonely climbing charts! 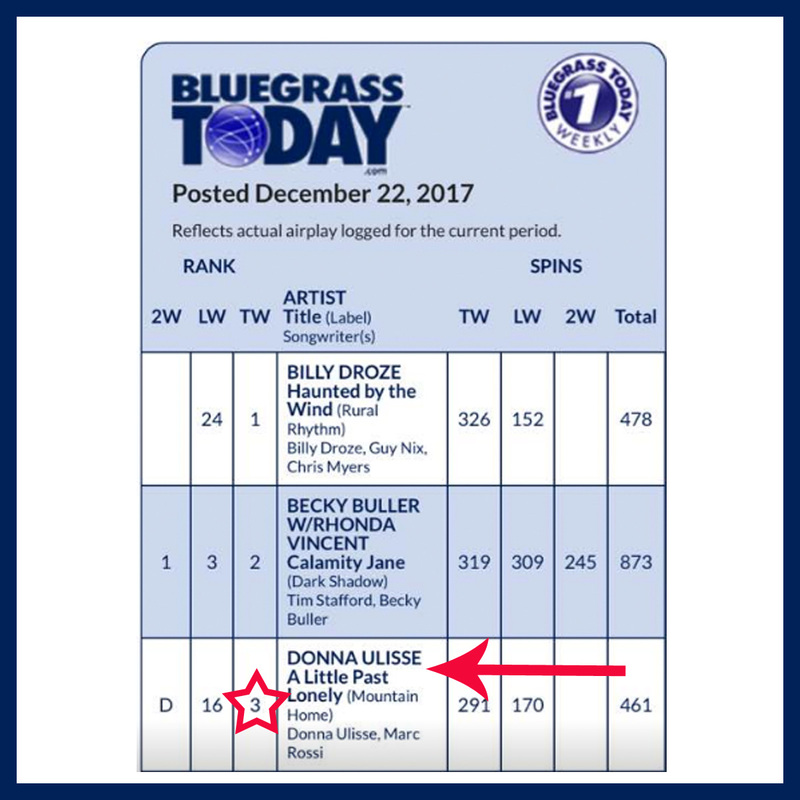 Another composition by Donna and longtime co-writer Marc Rossi off Donna’s current release Breakin’ Easy just took a nice big jump in the Bluegrass Today chart from #16 to #3! The song has a real country heartache feel and has been a favorite by everyone at the record label from the get-go. As always, a big thank you to the DJs who continue to play Donna’s music! On the December 13, 2017 show Handpicked with Del McCoury on SiriusXM’s Bluegrass Junction, Del chose to play Donna’s recording of the Dottie West classic “Here Comes My Baby Back Again” from her current album Breakin’ Easy. The show is hosted by bluegrass legend Del McCoury and songwriter/bassist Jon Weisberger. Donna chose to record this song because of her personal connection to Dottie West who she met when she was singing at local clubs in Nashville years ago. Dottie West often came in to hear her and was always kind and gracious to Donna. Bluegrass Today offers up rave review of Breakin’ Easy! ” The latest Mountain Home Music CD from Donna Ulisse is one of those “on the one hand, on the other hand” propositions. On the other hand, the arrangements push the boundaries, in fresh creative ways. That’s largely the influence of her regular co-writers, Marc Rossi and Rick Stanley – a relative of those Stanleys and Donna’s musical partner and husband. But the instrumentation on the Doyle Lawson-produced project add a layer of newness, too. There are tenor guitars and a little steel here and there, even drums and percussion on some tracks. None of that is shocking, given Ulisse’s country music roots.” Click here to read the full review.